BEIJING -- Top political advisor Yu Zhengsheng stressed that victory in the Chinese People's War of Resistance against Japanese Aggression was achieved by the whole Chinese nation as he met with a delegation of Taiwanese ethnic groups on Monday. As China holds activities marking the anniversary of the conflict's beginning, Yu, chairman of the National Committee of the Chinese People's Political Consultative Conference, said all those who fell while fighting for national sovereignty and territorial integrity should be remembered. This year marks the 70th anniversary of the Japanese invasion, and also the 70th anniversary of the end of Japan's occupation of the island of Taiwan. 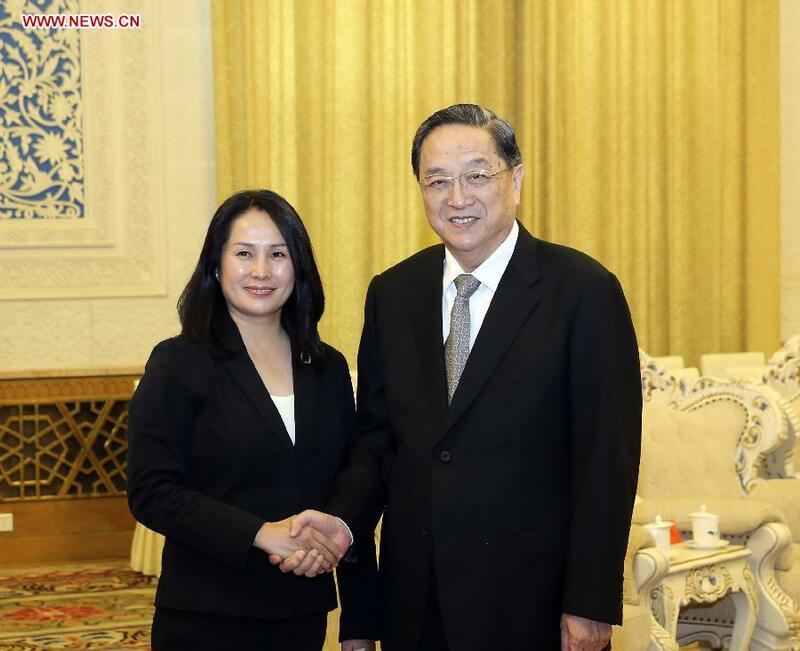 Yu praised Taiwan's ethnic minority groups for their efforts in opposing Taiwan independence and promoting peaceful development of cross-Strait ties.